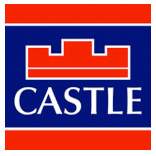 Castle Estate Agents are delighted to present 23 Millers Hall to the market for sale. 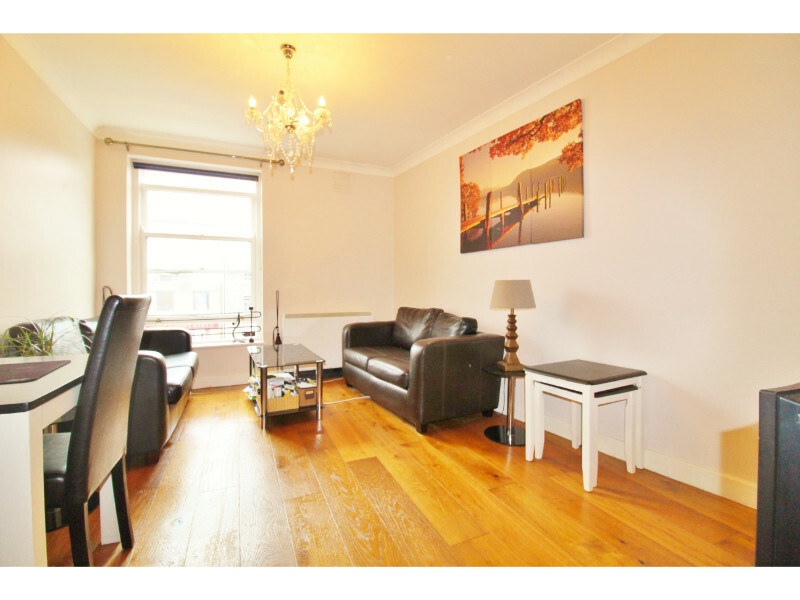 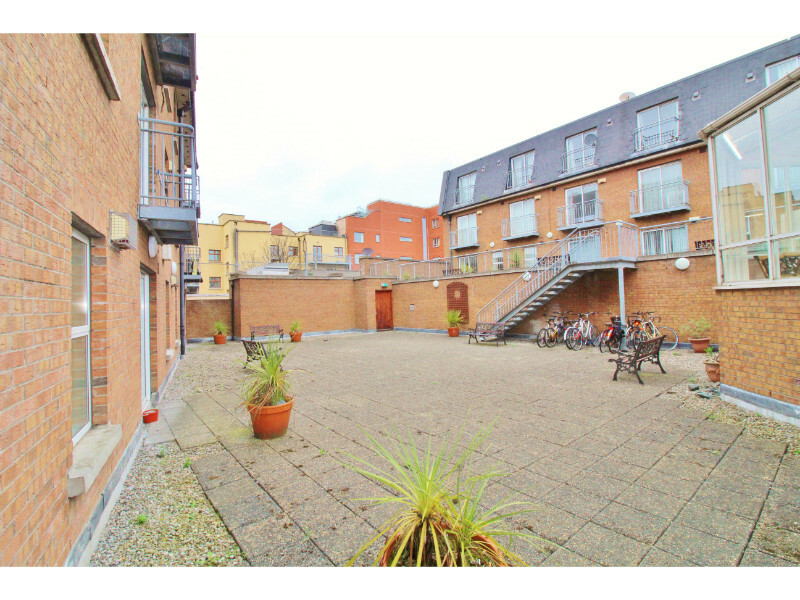 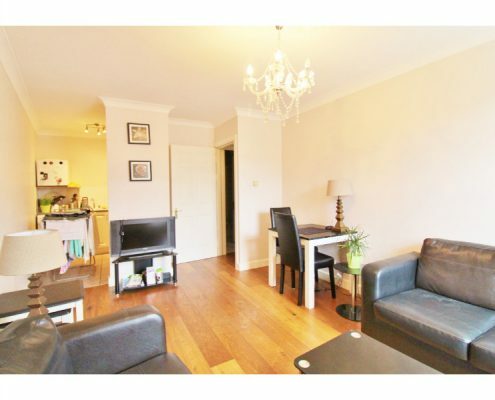 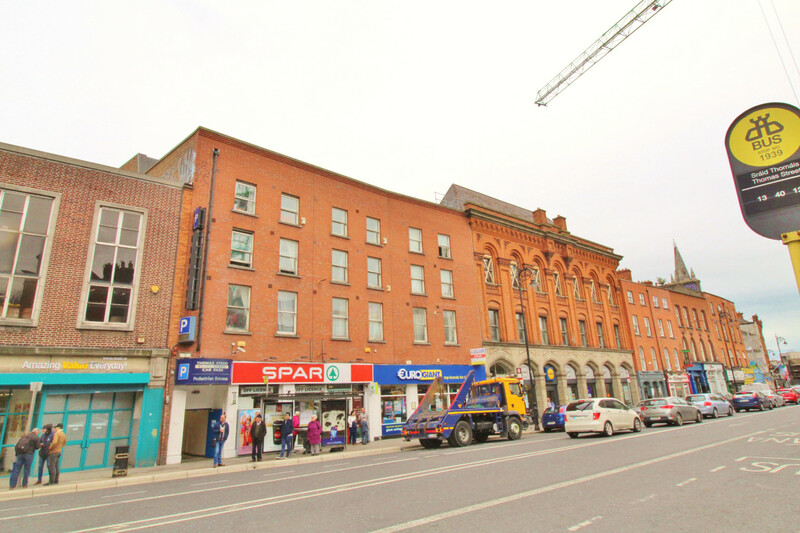 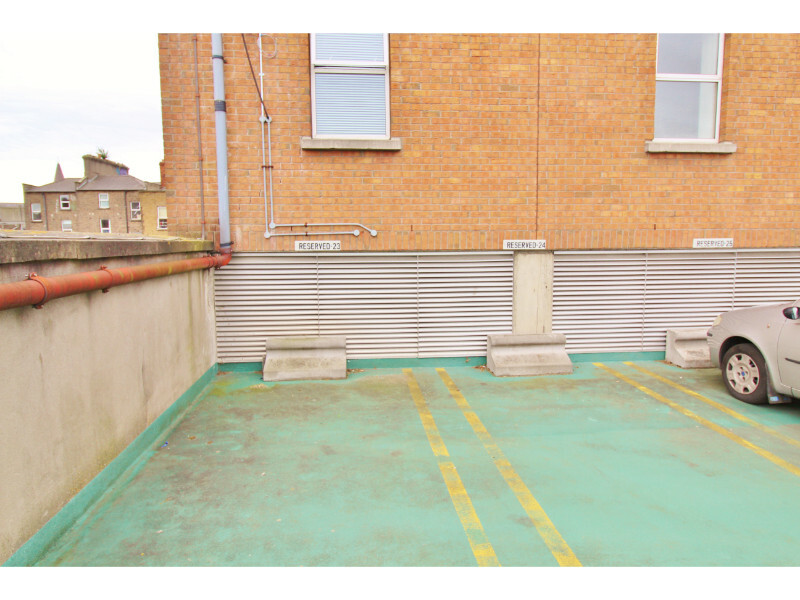 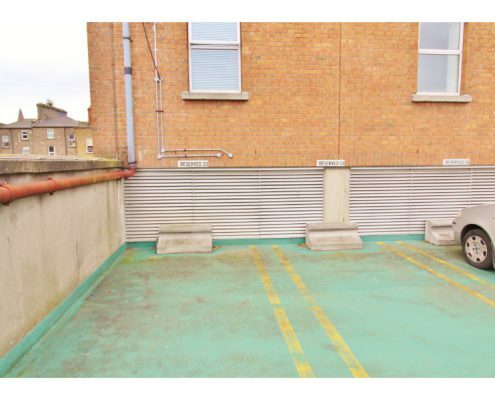 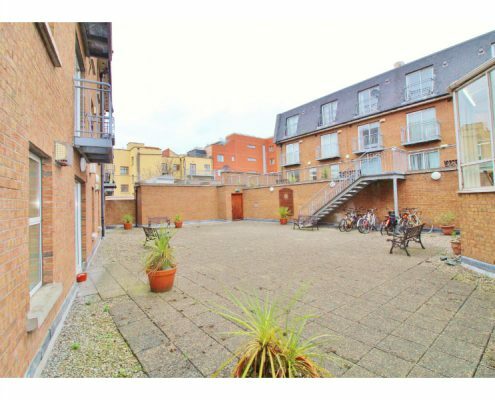 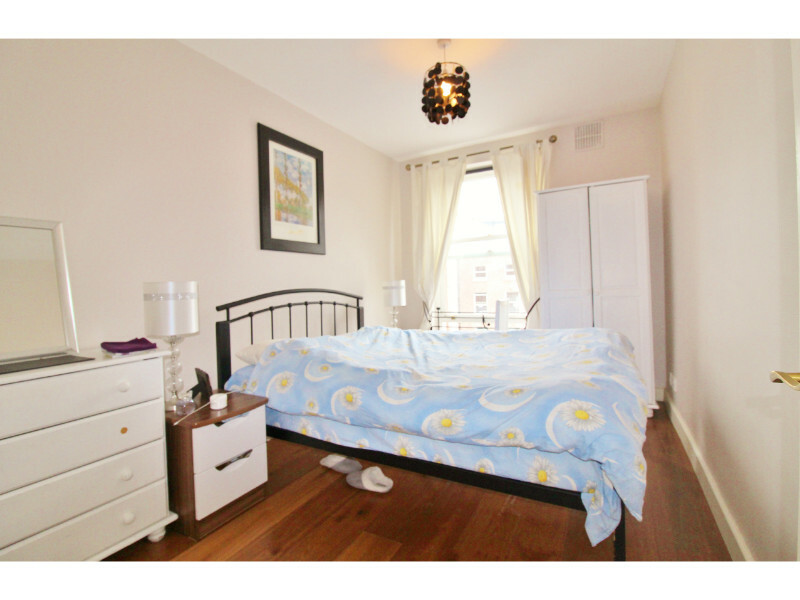 Presented in excellent order throughout this second floor apartment is ideally located on Thomas Street just a short stroll from Dublin City Centre, all local amenities (shops, parks,pubs and restaurants) are all close by. 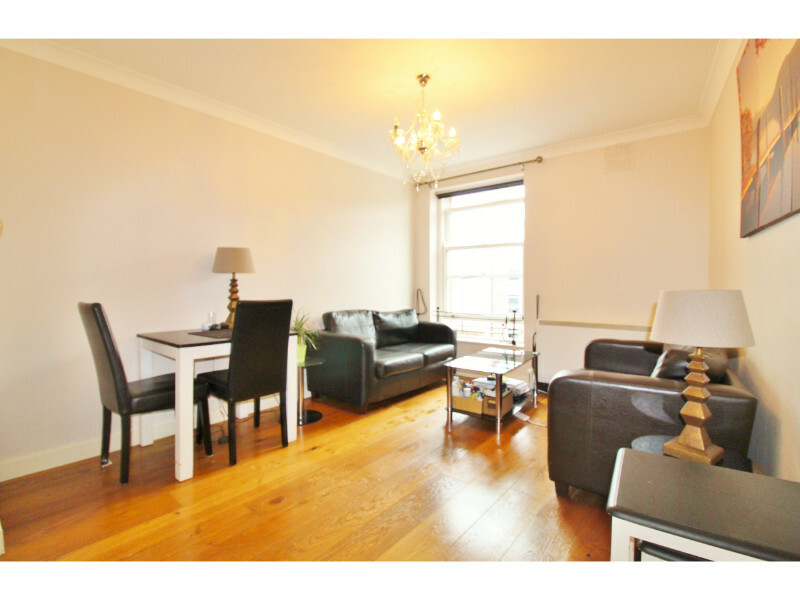 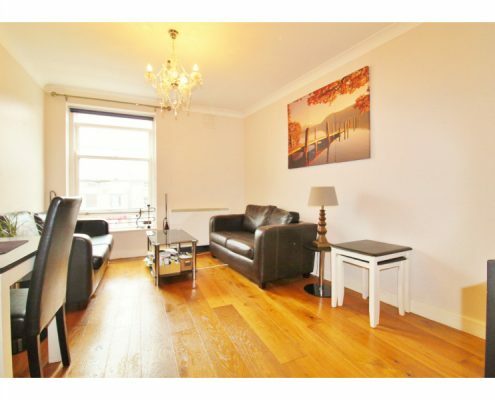 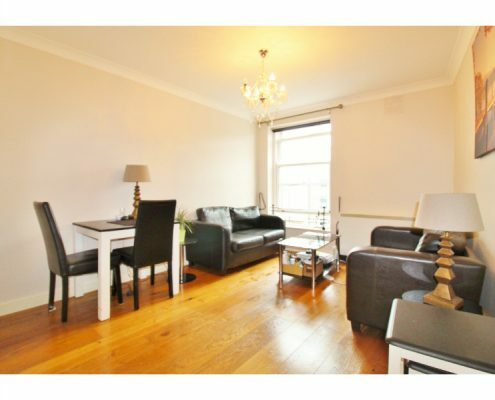 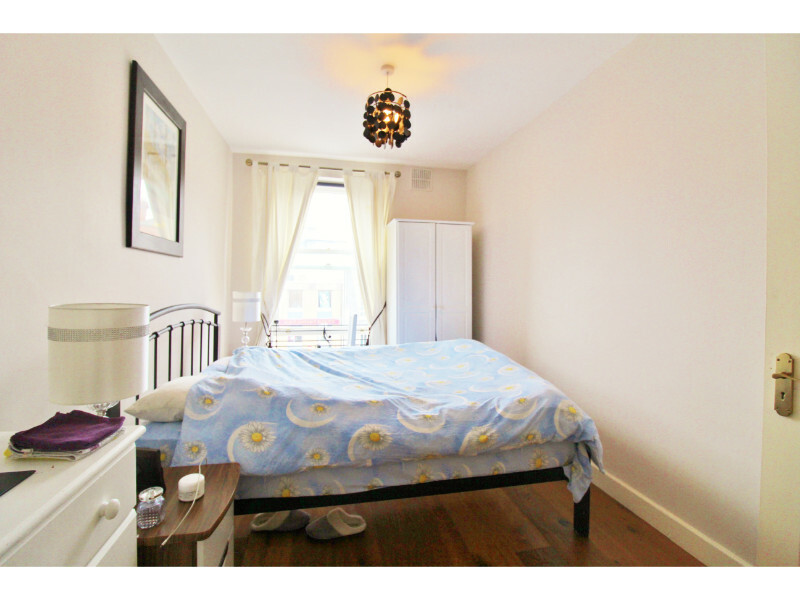 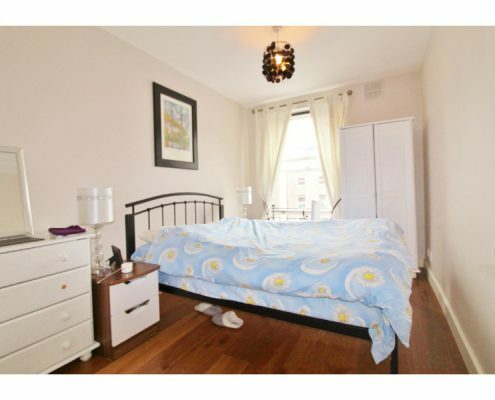 This bright and spacious apartment with many original features like south-facing sash windows and high ceilings has been beautifully maintained by the current owner (new semi-solid wood flooring throughout and recently refurbished bathroom) and briefly comprises of an open-plan lounge/diner, fitted kitchen, large double bedroom and bathroom. 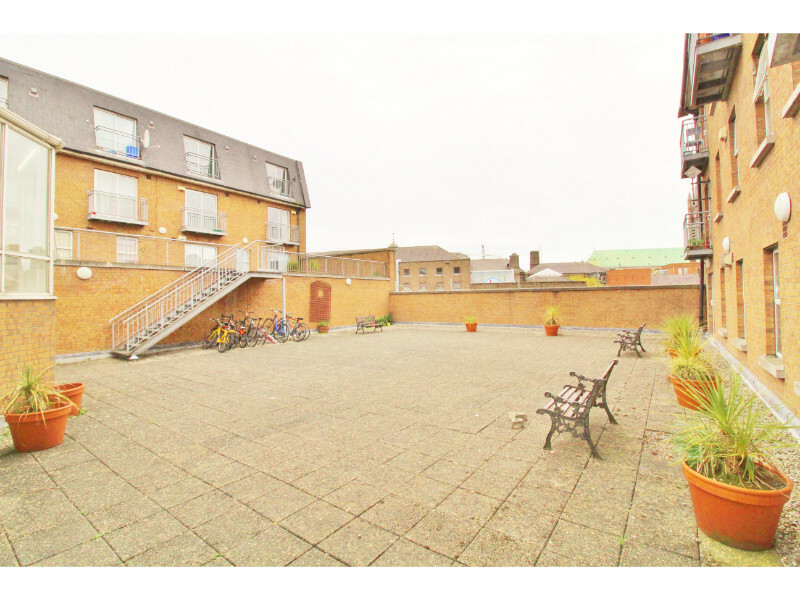 The block has a large communal area. 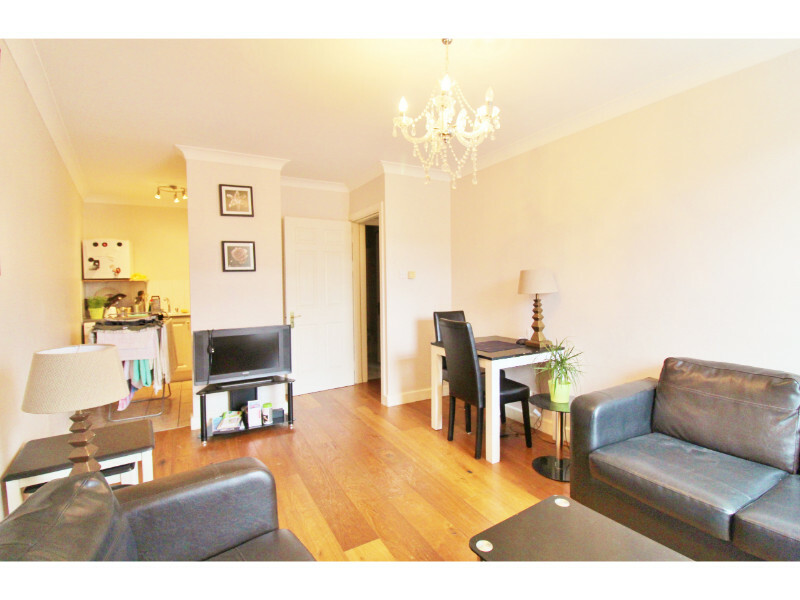 Lounge/diner: 4.86m x 3.40m with sash windows top front aspect, newly laid, semi-solid wood flooring, doorway to kitchen and coved ceiling. 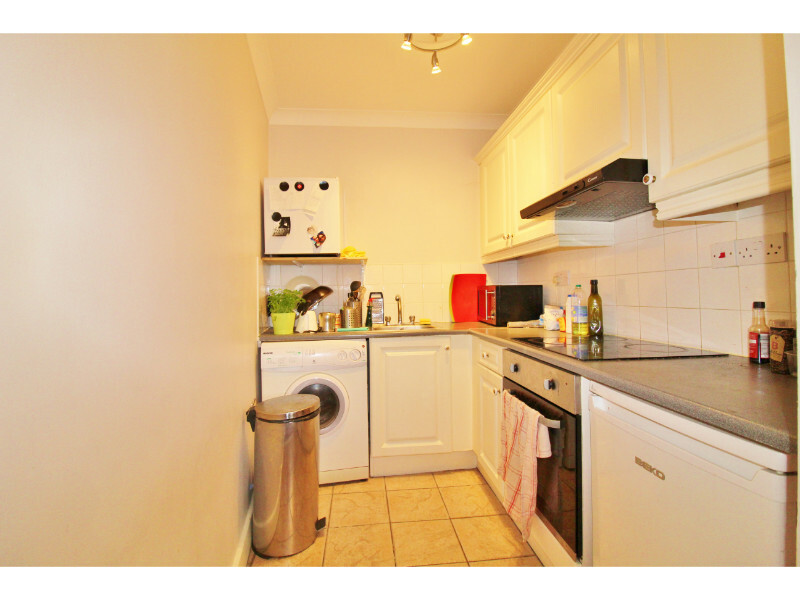 Kitchen: 2.50m x 1.77m with ceramic tiled flooring, a range of eye and base level kitchen units with roll-top work surfaces and tiled splash-backs, integrated oven,hob and extractor, washing machine with plumbing, fridge and stainless steel sink & drainer. 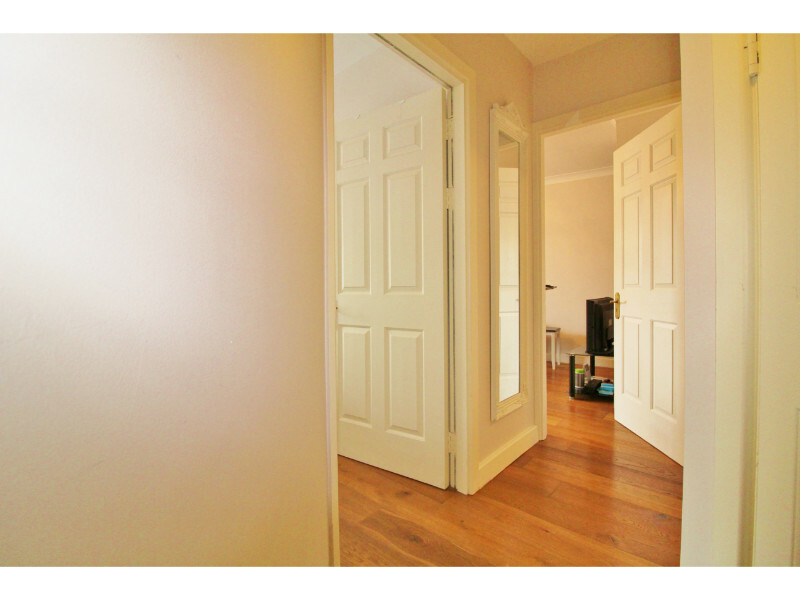 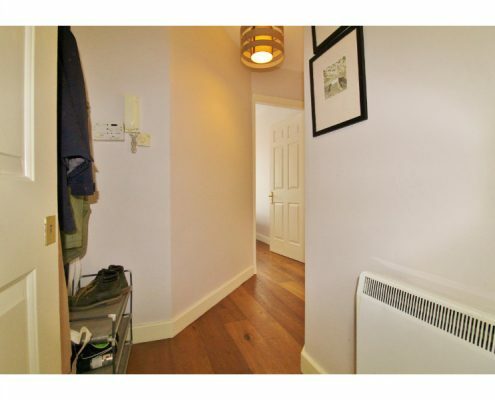 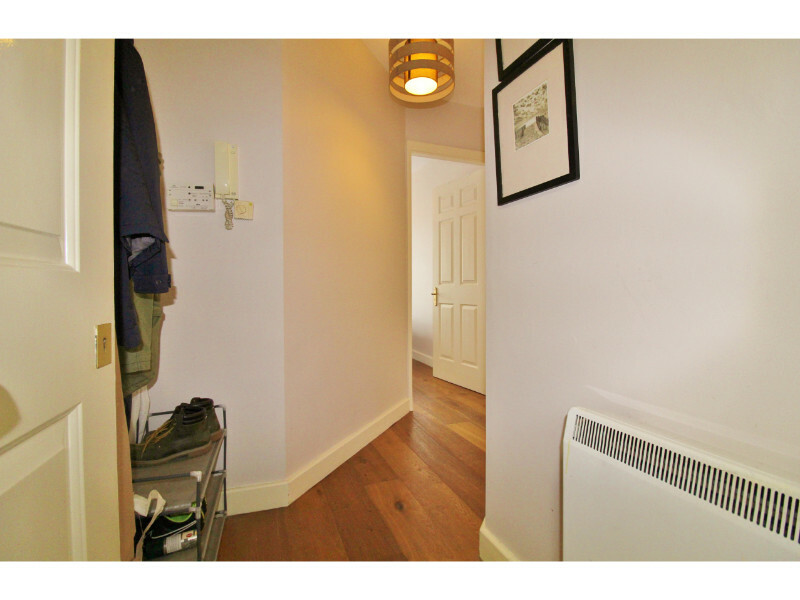 Hallway: 2.80m x 1.23m with semi-solid wood flooring, storage room and intercom. 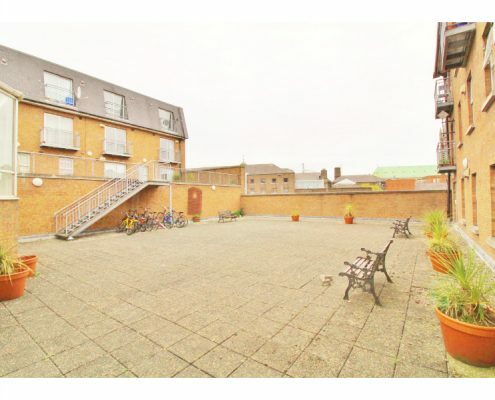 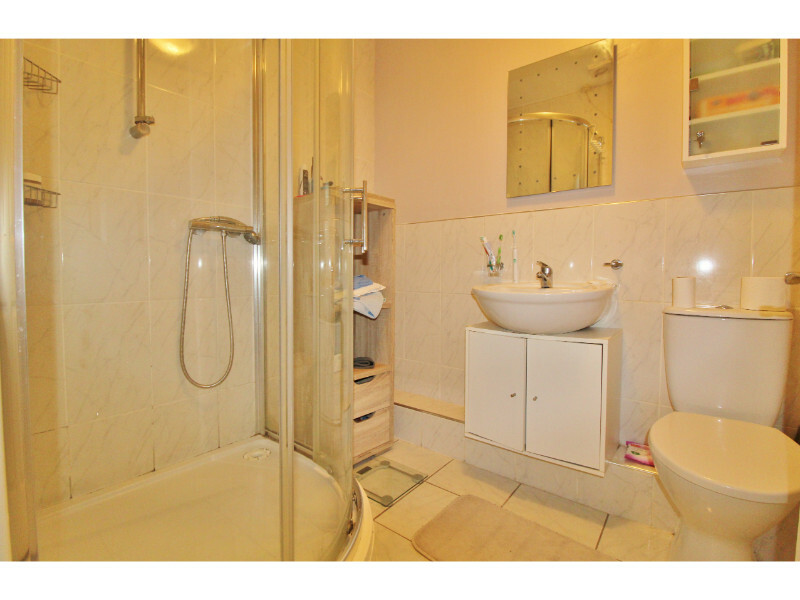 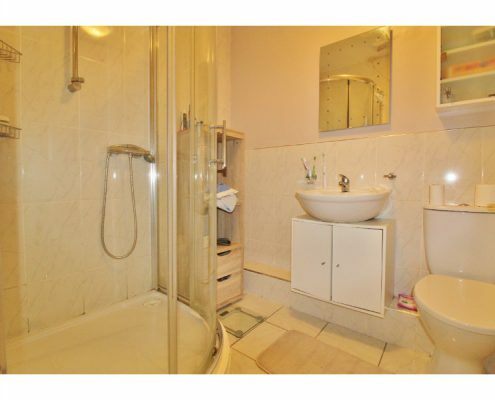 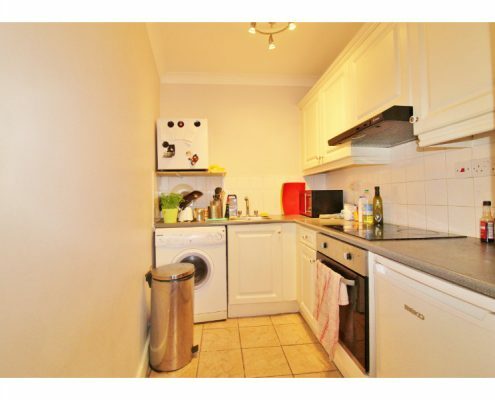 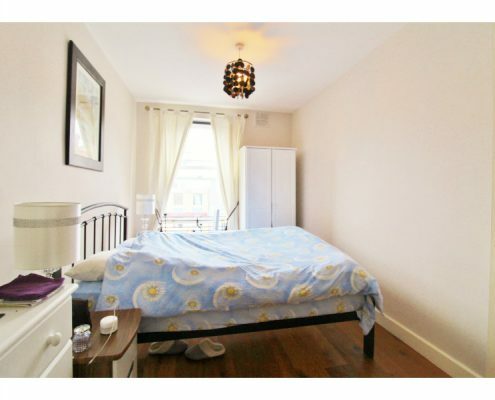 Bathroom: 2.05m x 1.77m with ceramic tiled flooring, half-height tiled walls, large corner shower cubicle, vanity unit and W.C.
Outside: Allocated roof-top car park space, well maintained communal areas.